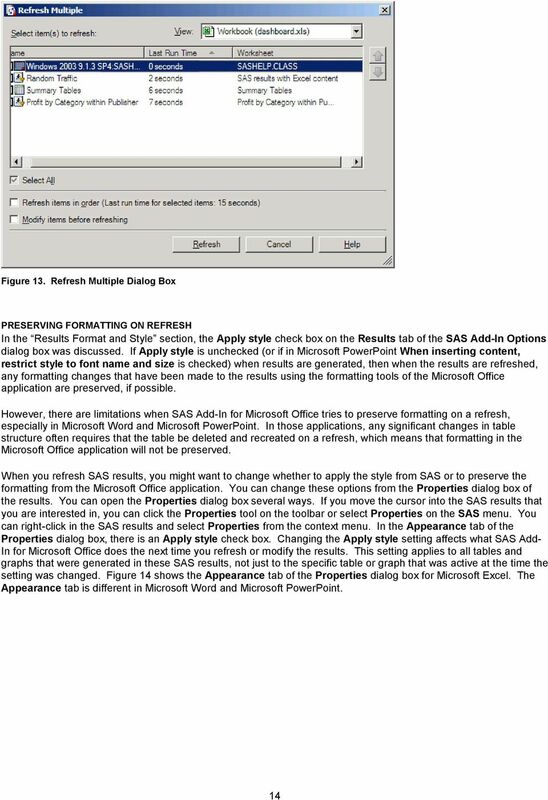 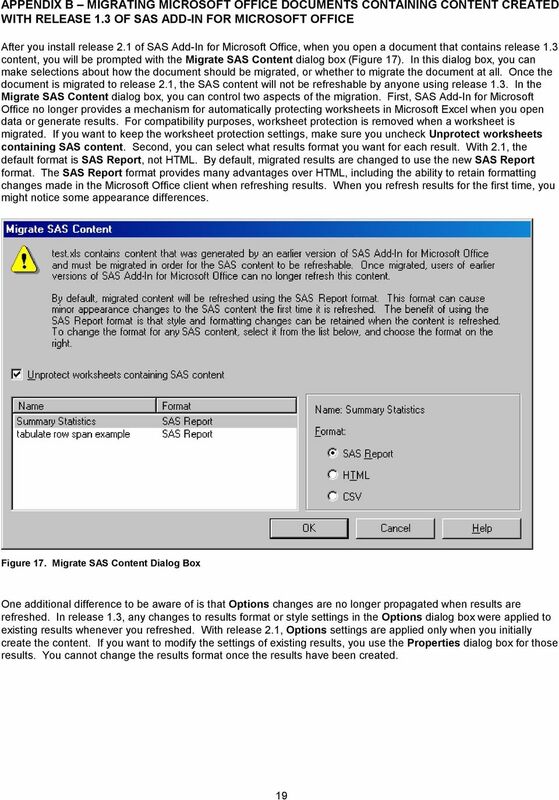 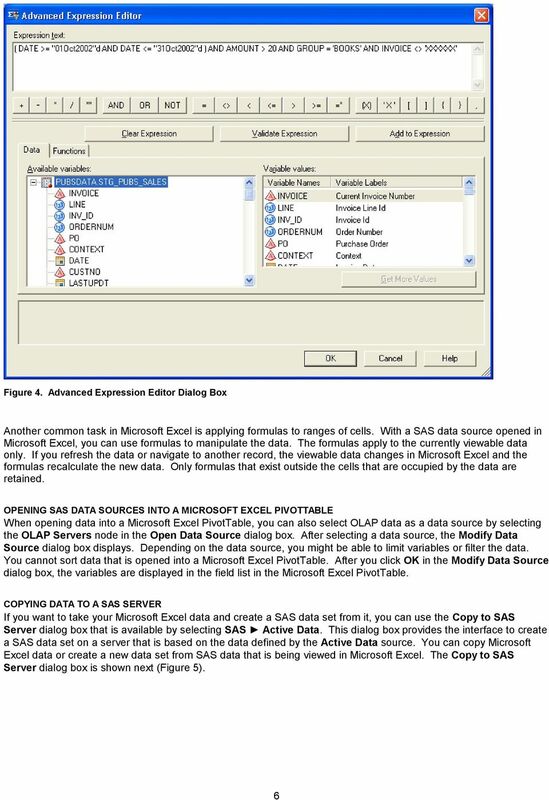 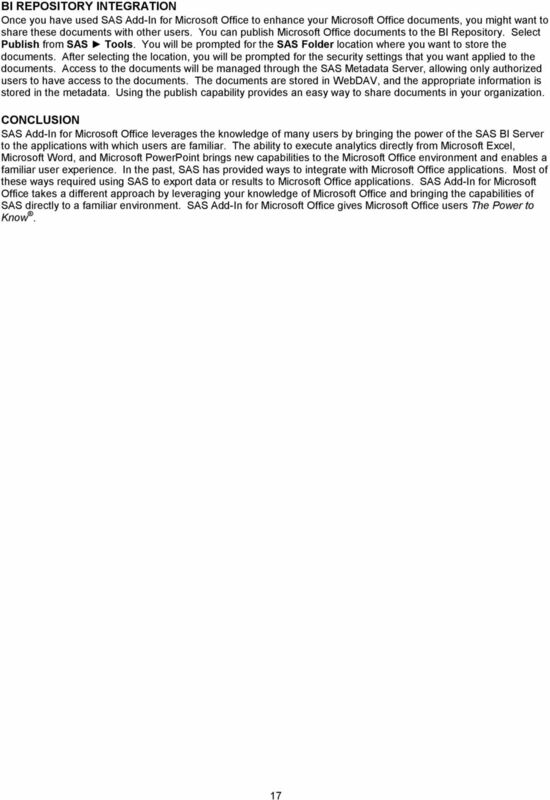 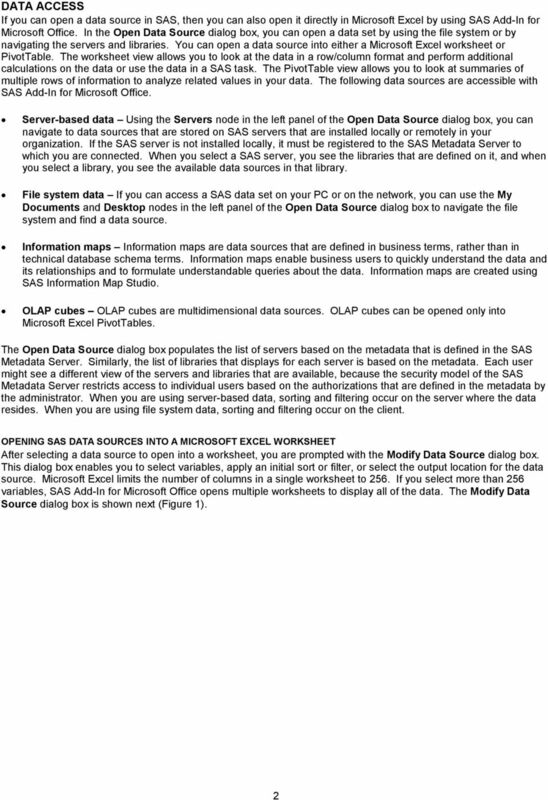 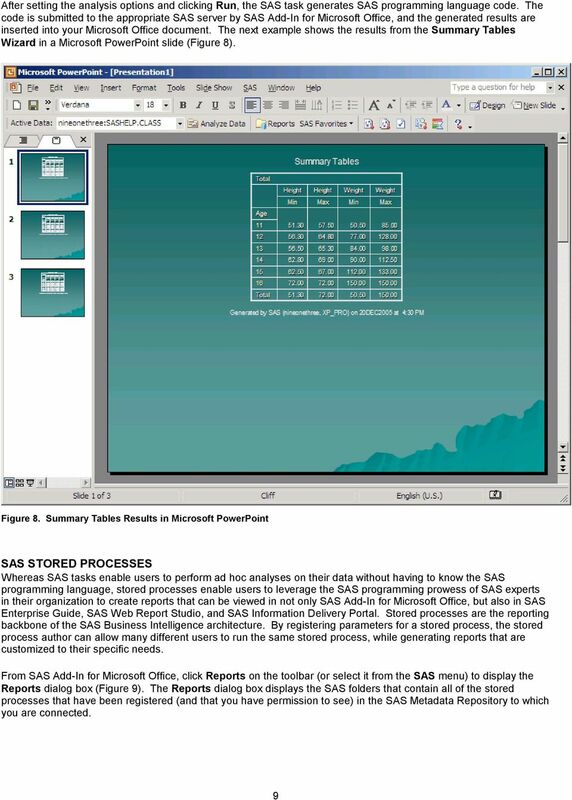 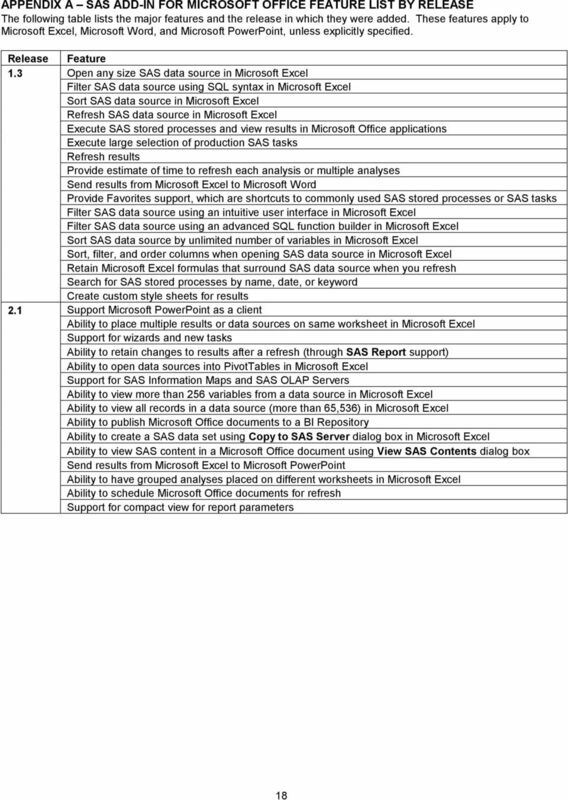 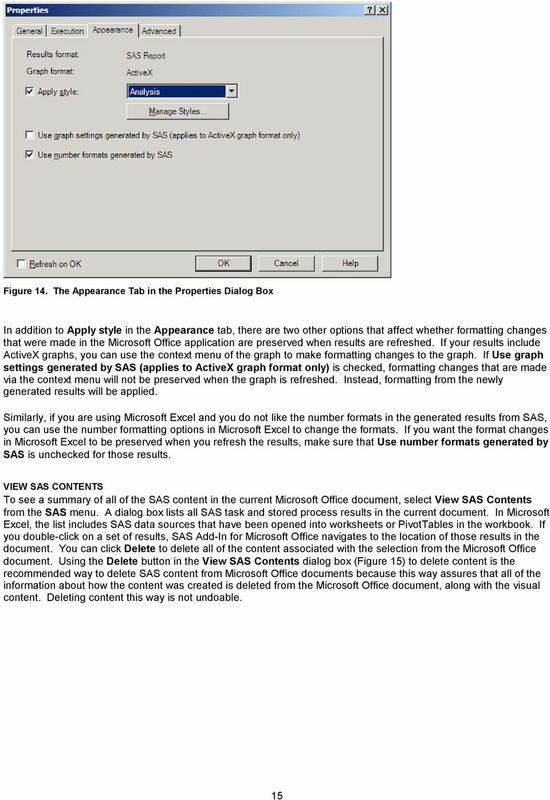 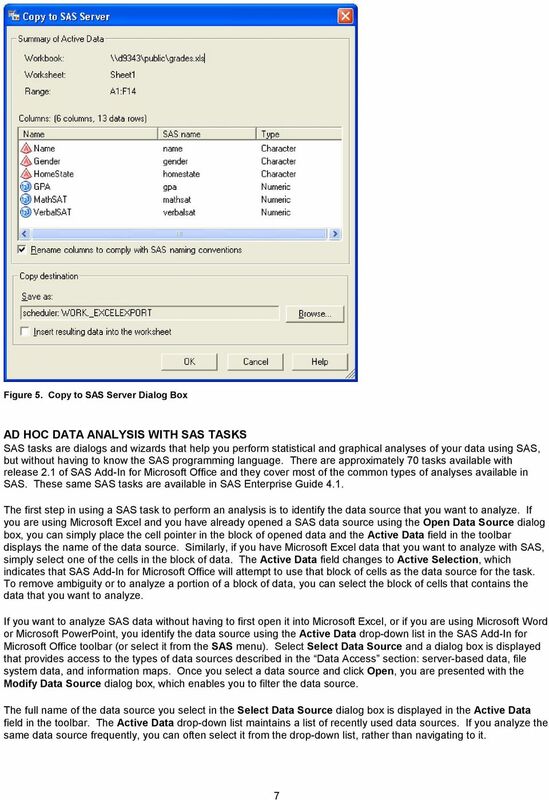 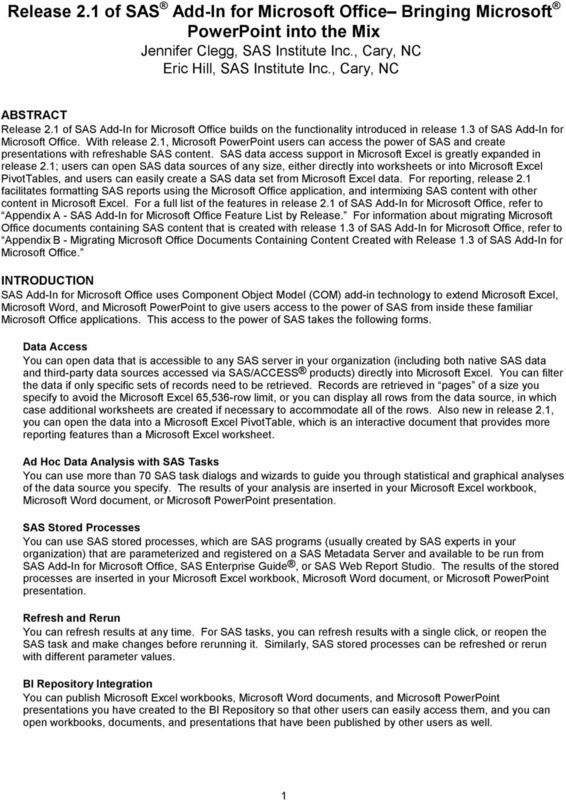 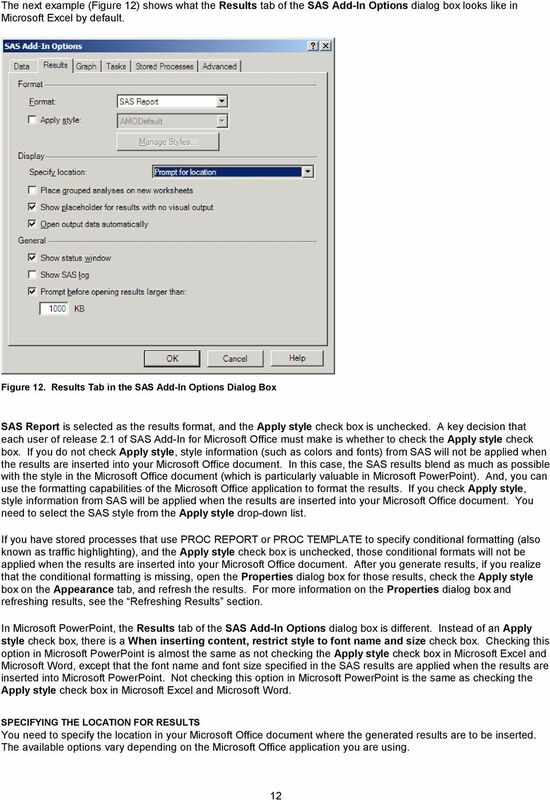 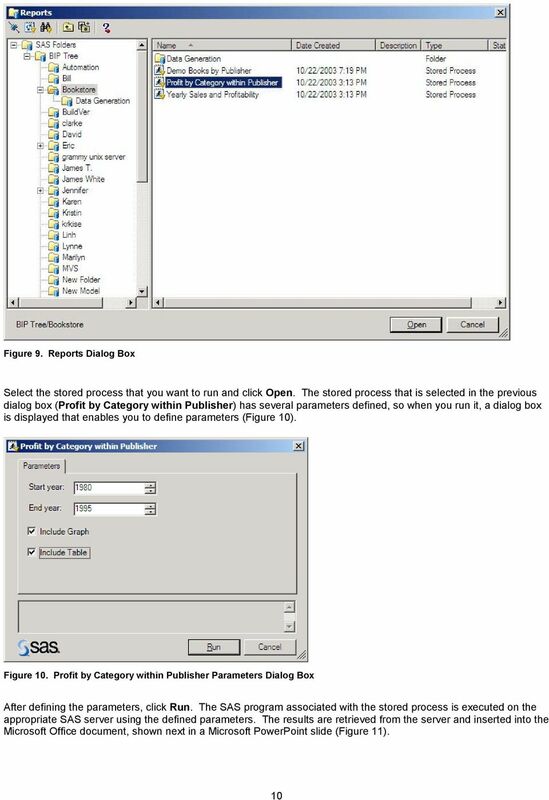 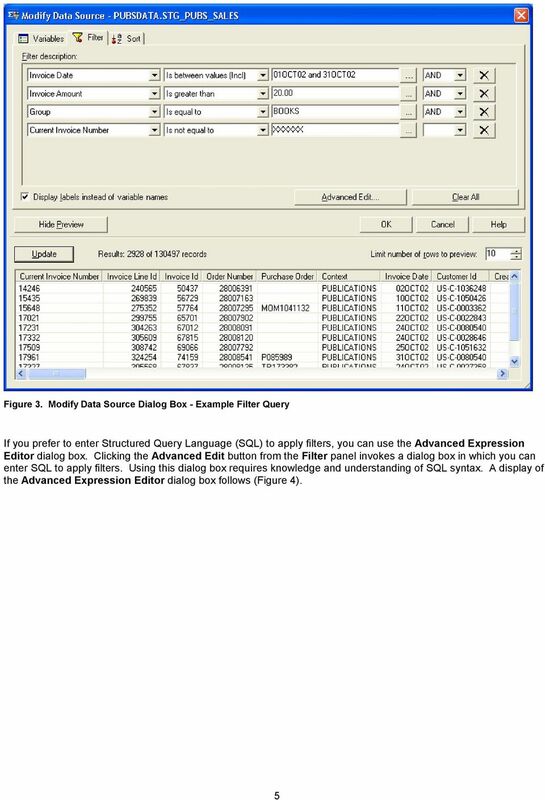 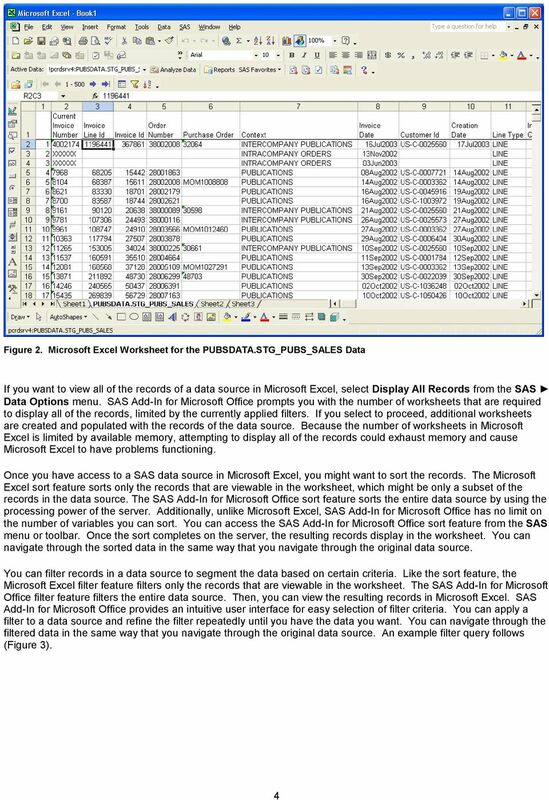 Download "Release 2.1 of SAS Add-In for Microsoft Office Bringing Microsoft PowerPoint into the Mix ABSTRACT INTRODUCTION Data Access"
I Didn t Know SAS Enterprise Guide Could Do That! 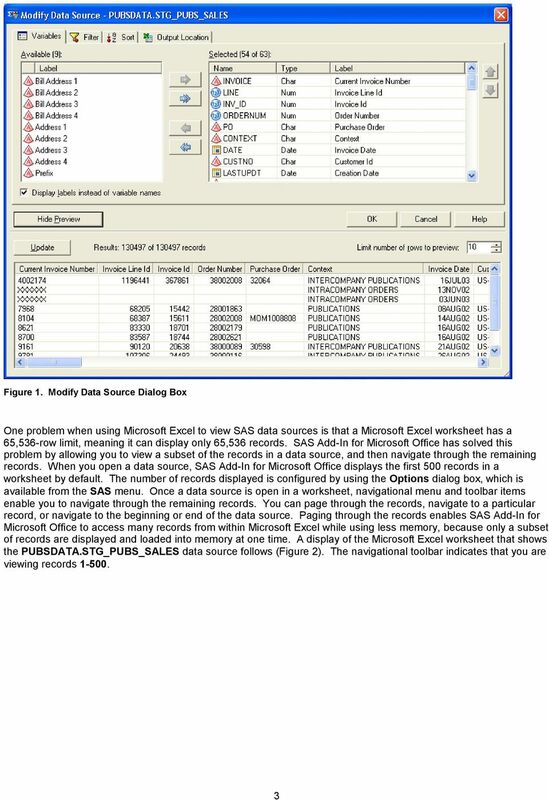 Create, add fields to, and delete fields from a pivot table. 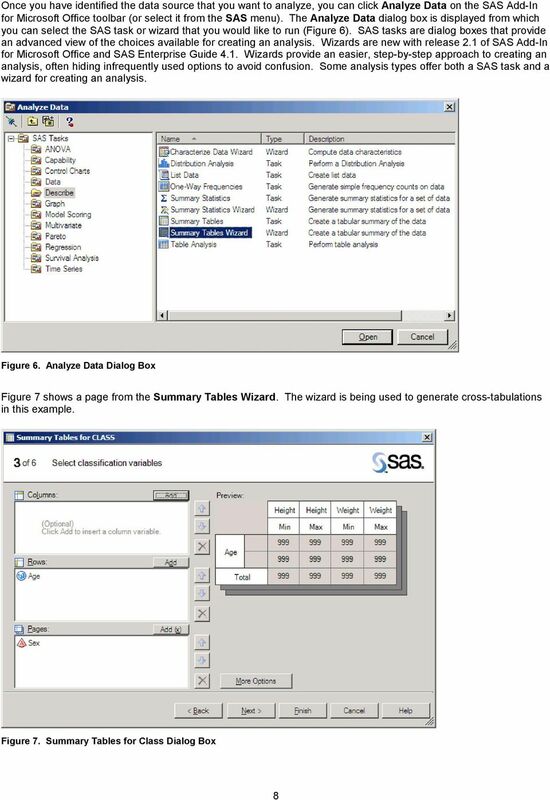 L E S S O N 3 Using pivot tables Suggested teaching time 45-55 minutes Lesson objectives To learn to use pivot tables in Excel, you will: a b c Create, add fields to, and delete fields from a pivot table. 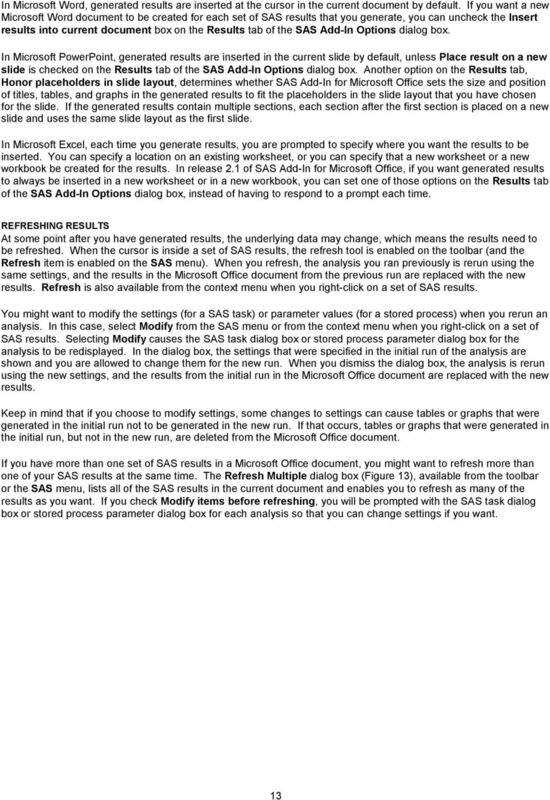 Sample- for evaluation purposes only! 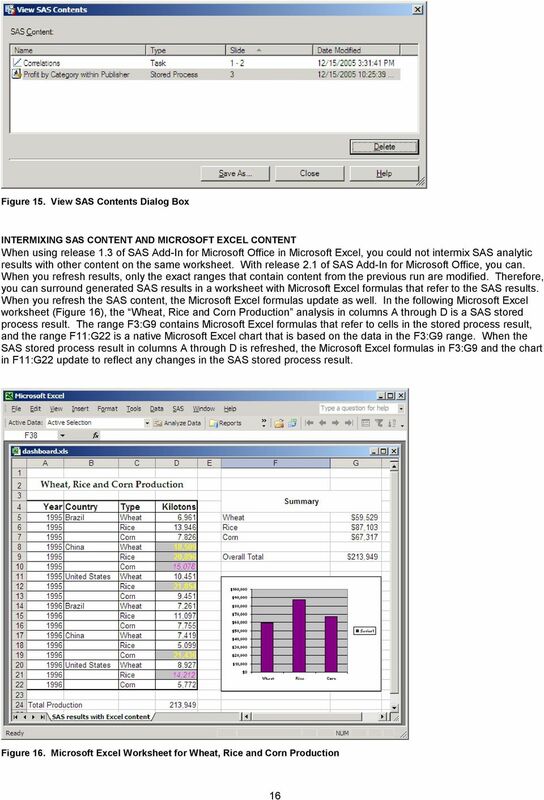 Advanced Excel. 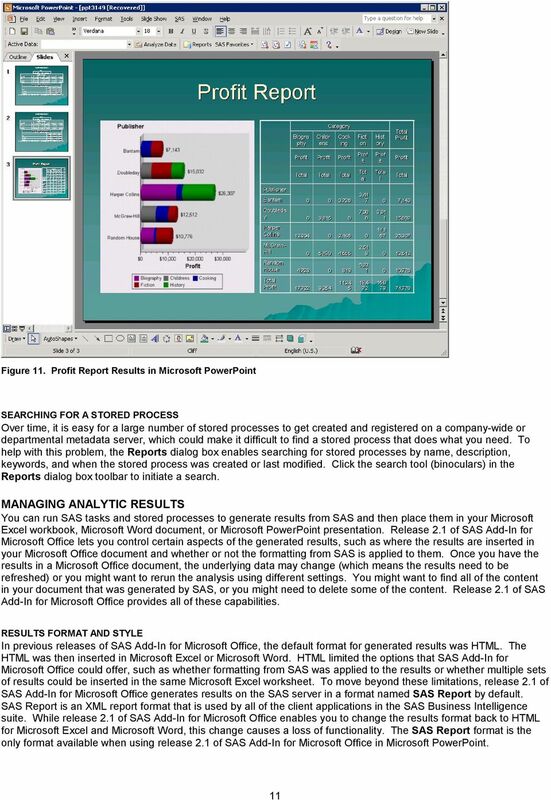 TeachUcomp, Inc. A Presentation of TeachUcomp Incorporated. 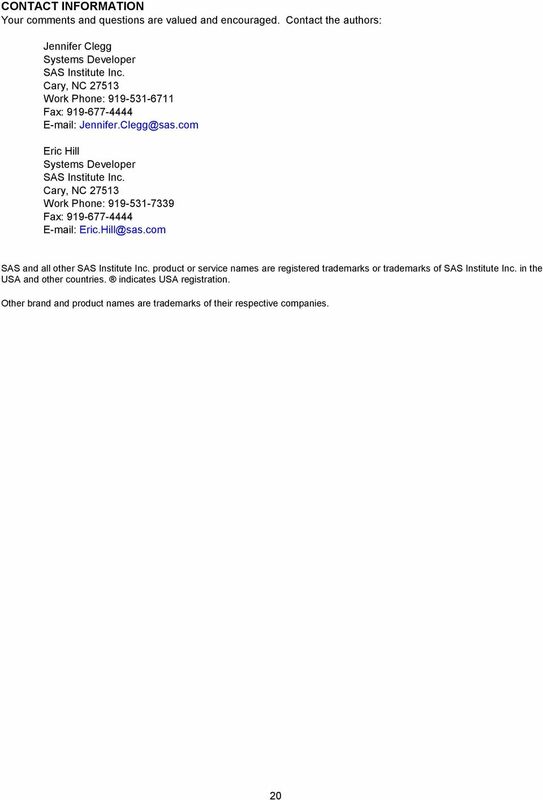 Copyright TeachUcomp, Inc.